There’s something about a dark and creepy screenshot that get’s people buzzing. The buzzing online now is about The Fall, a side scrolling action platforming that has as much in common with Limbo as it does Metroid. If you ask the developer at Over The Moon Games it’s also got a healthy dose of old school Monkey Island adventuring in it too. Contrary to what the screenshots and beautiful gameplay footage seem to show you, in The Fall you don’t control the Isaac Clarke looking space explorer, you play ARID, the suit’s virtual intelligence trying to save the unconscious pilot. While it may seem like semantics to say whether you’re controlling the guy, or controlling the guy that’s controlling the guy, this detachment lends itself to some fascinating story possibilities. Is the human pilot even alive? If he actually unconscious, or is he inside the suit fighting a losing battle against some renegade computer system (You)? You’ll be able to find out when the first episode of The Fall is released early next year. 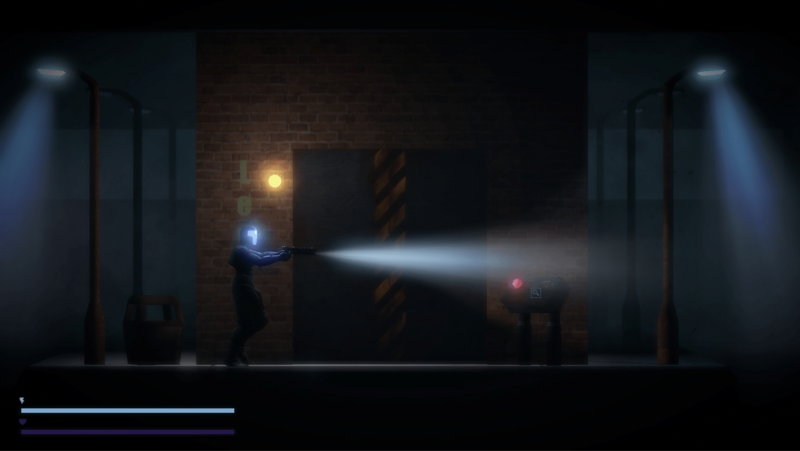 So we’ve got a slick looking game from a seasoned developer that’s already on track for release. What’s the developer need with your money? There’s always lot’s to spend money on! In the case of The Fall it comes down to providing the extra level of polish people have come to expect from even indie games. This includes improved sound, and additional focus on the levels in episode one. Te stretch goals include full voice acting, additional cut scenes, “set piece” combat sequences, and even console versions. Take a moment and watch the engaging funding video. It gives a fantastic idea of what the game looks like, and gives you an idea of the passion the developer has. Funding for The Fall runs until October 9th and is already into stretch goal territory having passed its original target of $17,000 with ease. Previous articleGet To Work, Community!